The ukulele is currently meeting its prime time with its constantly growing mainstream popularity. The instrument has sneaked its way into current pop songs and popular TV show theme songs which compel and inspire amateur musicians to make their own covers and renditions. YouTube is known to be a go-to platform of all tutorials from video editing to make up, so it’s only safe to assume that there should be at least a few channels out there dedicated to ukulele tutorials. This list will give you not just one, but eight fun, creative, and educational YouTube channels for anyone who wants to learn how to play the ukulele. If you search for “ukulele tutorial” on YouTube’s search bar, the first video entry from the results will most likely come from The Ukulele Teacher. This channel is popular for making ukulele tutorials of popular songs both old and new, from Justin Bieber to Bryan Adams. The Ukulele Teacher’s videos are hard to miss with their colorful and quirky thumbnails. John Atkins, the person behind the channel, has a very spontaneous and engaging approach so every tutorial doesn’t seem too formal. Viewers will get the feel of being taught by an old friend or your friend’s dad (if they knew how to play). 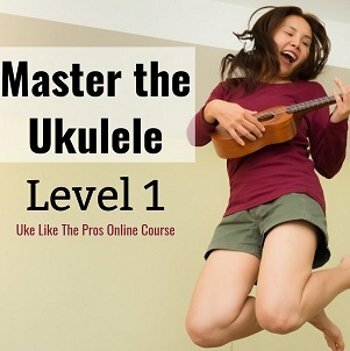 The Ukulele Teacher also provides tutorials for beginners like learning how to strum, how to read tabs, how to sing while playing and other ukulele-related videos including ukulele unboxing and product reviews. One Music School offers both ukulele tutorials of the newest pop songs on the radio and tips and tricks on how to play and take care of your instrument. Katie Denure, the teacher behind the videos, has a more formal yet friendly approach to her lessons. Not only does she have a clear and concise way of explaining chords and tablatures, but she has an amazing modulated voice when she sings along to the songs. One Music School’s videos are catered to advanced beginner ukulele players who at least have a foundation on the instrument. Additionally, One Music School also provides song tutorials on the guitar. Ten Thumbs Productions provides a crash course in becoming a pro ukulele player. While the channel provides easy tutorials of past and present rock songs, Ten Thumbs Productions specializes in intermediate techniques in playing the ukulele like playing in the style of blues and reggae, playing unusual chords, playing solos and improvisations, and others. The channel basically teaches you not only how to play an existing song, but also how to play your own original song by teaching you techniques and exercises performed by ukulele professionals. Most of the channel’s lessons require the player to have a foundation in music theory so beginners might be a little intimidated by this channel’s content. Cynthia Lin is an independent jazz ukulele musician on YouTube. Her channel is a hodge podge of go-to YouTuber content like vlogs and original music, but she manages to sneak in ukulele tutorials every now and then. The songs she provides tutorials on are usually fun and complex, requiring players to at least have a solid foundation on chord changes, strumming, and fingerpicking. Because of this, Cynthia always provides downloadable PDF chord charts of her tutorials to help the player practice until they’re comfortable enough to sing along with her. Ukulele Underground is a one-stop hang out for ukulele lessons. Their pop song tutorials are straightforward and not watered down so one would have to have a strong grasp on their chords and chord switching. Their Webcam Sessions series cover almost everything from beginner lessons reading tabs and handling a ukulele correctly to playing scales and blues solos. The channel also provides jamming sessions that intermediate players can watch and play along. The only thing one can pick from this channel is that their videos can be lengthy, most of them exceeding ten minutes. Ukulele Mike is your friendly ukulele grandpa on YouTube who teaches you how to play classic go-to ukulele tunes. His song selections are simple and familiar but one has to have a good foundation of playing chords and reading tabs to follow his tutorials. His videos vary from playing Disney songs to Beatles hits to popular classical music pieces to blues improvisations and scale exercises. His videos are warm and straightforward with varying backdrops to show the viewers that you can play the ukulele anywhere. Ukulele Cheats is perfect for music savvy players who want to learn edgier modern rock and alternative anthems. Vasco, the creator of Ukulele Cheats, has an eclectic song selection that is reminiscent of a road trip mixtape with artists like Oasis, Fugees, Pixies, 2Pac, and Nirvana — basically a music paradise for 90s kids. 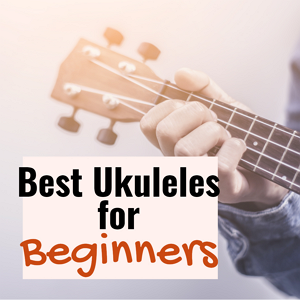 Ukulele Cheats also offers beginner lessons categorized into different playlists which are suitable for beginners. His videos are easy and pleasing to the eyes with the variety of backdrops he uses, and his friendly boy-next-door approach makes learning easy and less of a chore. Elise Ecklund is a YouTuber whose content consists of vlogs, reaction videos, and covers, but she also does ukulele and guitar tutorials to current pop hits. Her tutorials are easy but quite fast-paced so it’s good to have firm basic knowledge on chords and tabs. Her videos are nothing but boring since she exudes a quirky and personable character that makes learning fun and exciting. Apart from her tutorials, she is also popular for her “four chords” series where she takes a medley of songs and plays them with only four chords. Ecklund was featured in our “Ukulele Video of the Week” with her successful “Despacito” ukulele cover. Uke Like The Pros offers learning courses and mini-courses for aspiring ukulele players. The site is spearheaded by the leading ukulele instructor Terry Carter who worked with artists such as Weezer and Josh Groban. If you are planning to further your education on learning how to tune and hone your craft in playing the ukulele, we recommend visiting Terry’s YouTube channel.